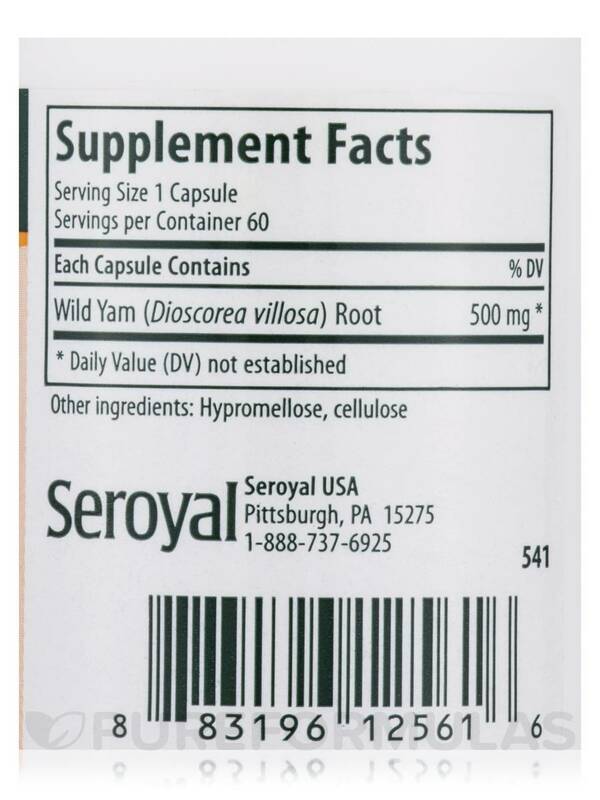 Seroyal’s Dioscorea Capsules are a convenient source of Dioscorea villosa‚ a botanical also known as Mexican wild yam. 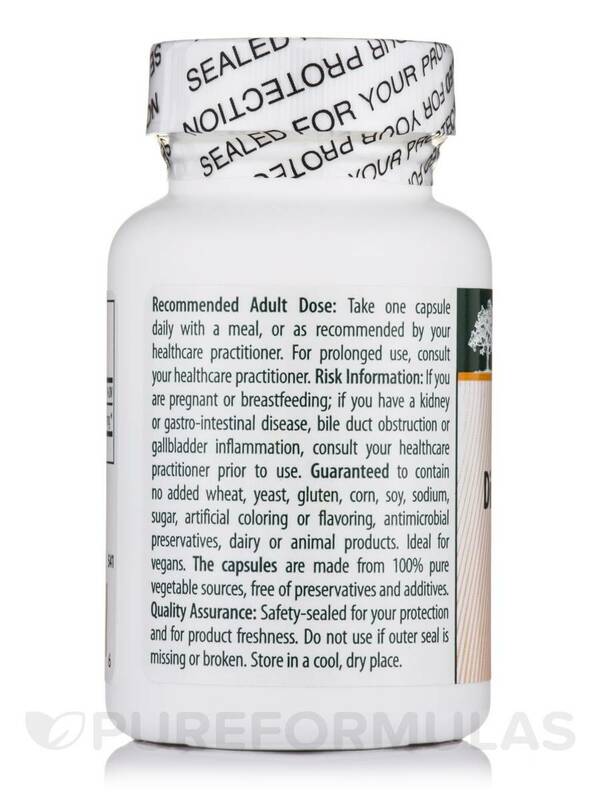 One vegan capsule provides 500 milligrams of wild yam extract. 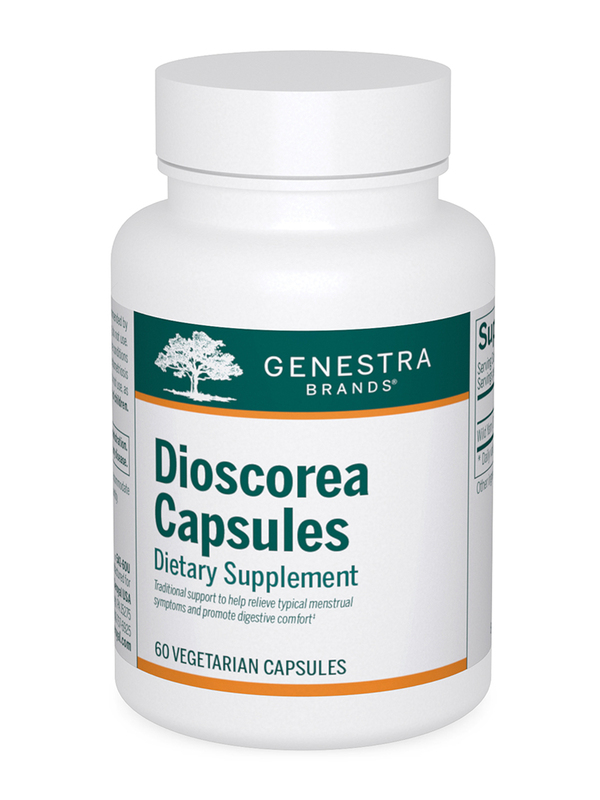 Dioscorea Capsules might have antispasmodic properties; as a result‚ they may work to alleviate some indications of muscle spasms that could be caused by intestinal colic‚ flatulence‚ or other health conditions. However‚ this wild yam supplement may particularly help address symptoms associated with menstrual cramps in women. Dioscorea villosa has also been used as part of traditional herbal medicine to aid in relieving certain side effects of menopause. Additionally‚ wild yam root extract also contains saponins‚ compounds that may have anti-inflammatory properties. By potentially working to ease inflammation in the bowels‚ Dioscorea Capsules might offer some support for urinary tract comfort. 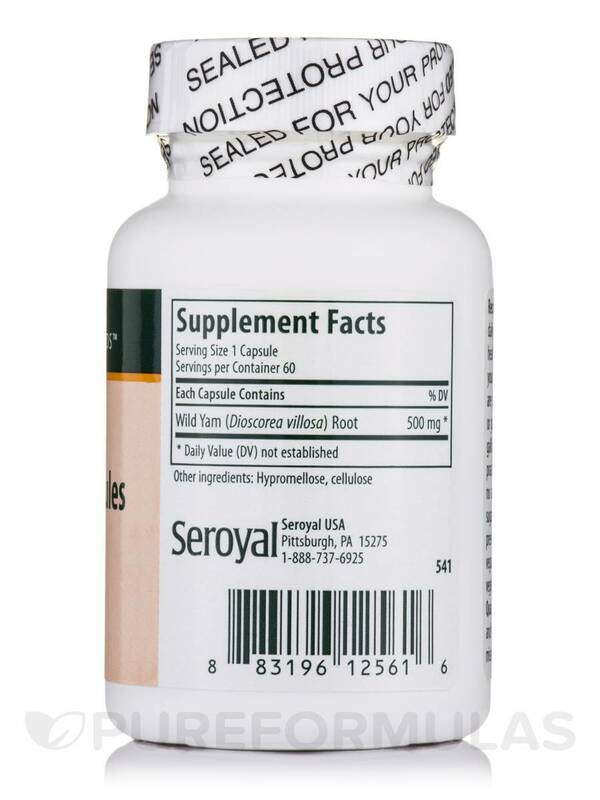 At the recommended daily dosage of one capsule with a meal‚ each 60-capsule bottle of Dioscorea Capsules by Seroyal should last for about two months. 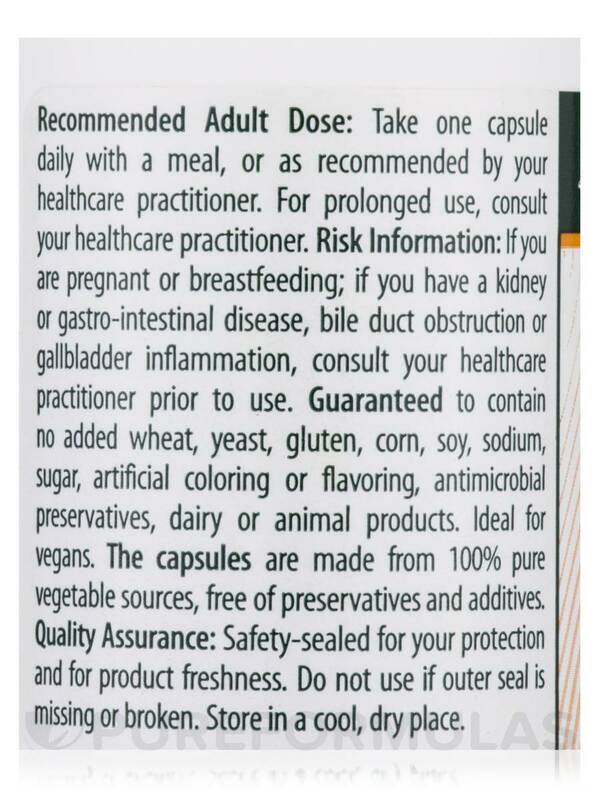 Adults: Take one capsule two times daily with meals‚ or as recommended by your health care practitioner.